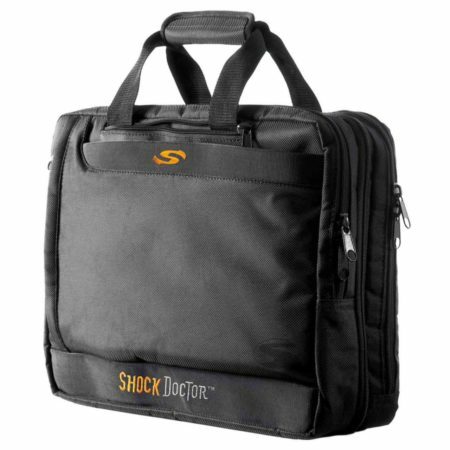 This Shock Doctor laptop bag is a great choice for work and travel. Various hidden handles and straps transform the shoulder bag into a backpack at lightning speed. The padded laptop compartment, two large main compartments and small side pockets offer plenty of storage options.